On 23rd November 2013, the Ahmadiyya Muslim Jama’at celebrated the 50th Anniversary of the independence of Algeria, Burundi, Malawi, Rwanda and Uganda with an event organised by the Ahmadiyya Muslim Community’s Pan-African Association. The keynote address of the event was delivered by the 5th Khalifah of the Promised Messiah and Worldwide Head of the Ahmadiyya Muslim Jama’at, Hazrat Mirza Masroor Ahmadaba. Dignitaries and guests representing a number of African countries attended the function at Baitul Futuh Mosque in South West London. Earlier in the evening, His Holiness held a meeting with dignitaries including the Uganda High Commissioner, Her Excellency Prof Joyce Kakuramatsi Kikafunda and Ghana’s Leader of the Opposition, Hon Nana Akufo-Addo. “All distinguished guests – Assalamo Alaikum Wa Rahmatullahe Wa Barakatohu – peace and blessings of Allah be upon you all. I would first of all like to thank the Pan-African Association for inviting me to today’s event. I would also like to thank our distinguished guests and non-Ahmadi friends for joining us here this evening. 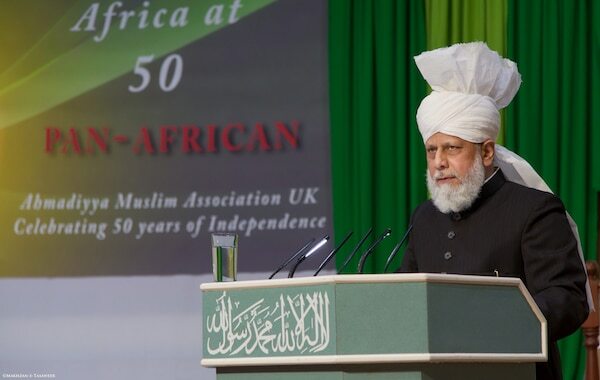 This function, hosted by the Ahmadiyya Community’s Pan-African Association, is of great significance and value because it has been organised to celebrate the independence days of certain African countries – those being Algeria, Malawi, Rwanda, Uganda and Burundi. Celebrating their days of independence is an expression of our unity and friendship with these countries. In this respect, I would like to say that Islam places great emphasis on the independence of each nation and each people. Islam teaches that to free others from servitude and oppression is a great form of piety that leads to huge rewards from Allah. In Chapter 90 of the Holy Qur’an, Allah has very clearly spoken of the need to free others from slavery, to fulfil the needs of the hungry, to help those in need and to care for orphans. The reason for this is that, where on the one hand such acts of kindness will establish an environment of love and affection in society, on the other hand, they will also lead to spiritual progress and be a means of gaining God’s nearness. Therefore, true Muslims and Muslim governments, should always promote independence and help others gain freedom, whether it is personal independence or whether it is national independence. The Ahmadiyya Jama’at has accepted the Imam of the Age, Hazrat Mirza Ghulam Ahmadas of Qadian, who was sent by Allah to spread the true teachings of Islam. And so, based upon these true teachings, we strive and work towards the achievement of universal independence and self-determination, with the ambition that every single person in the world is able to live autonomously. All people should have fundamental freedoms, such as religious, political, national and civil freedom. We, Ahmadis, particularly seek to draw the attention of governments towards the need to provide all people with these autonomies and wherever we can practically help and assist in this effort we always do so. Indeed, the history of the Ahmadiyya Muslim Community testifies to the fact that we played our role and worked for the independence of the people of Kashmir and for the sake of the independence of the Palestinian people. In a similar vein, wherever we have the opportunity, our members of influence, in which the late Sir Chaudhry Zafrullah Khanra stands foremost, make great efforts and play their role in helping others gain independence. Certainly, it is because of the true Islamic teachings that the Ahmadiyya Community has always championed this issue and continues to do so today. You may be very surprised to hear that Ahmadis are drawing the attention of others towards this issue today, at a time when almost all countries have gained independence and are apparently free. But remember, whilst at a superficial level the vast majority of countries are independent and have formed governments from amongst their own people, yet in reality many developing nations or those that are sometimes referred to as Third World countries, are still heavily influenced and pressured by the major powers of the world. The powerful nations take advantage of the weaker nations and dictate their own preferred policies, and so in this way they have practically enslaved the developing countries. Sadly, the major powers take benefit and advantage of the natural resources of the poorer nations and do not give what is the due right of the weaker nations in return. Thus, clear exploitation of the developing countries and their people is taking place. Further, sometimes local governments are established, who despite being from the same nation and from amongst the same people, do not fulfil the rights of their public. This leads to resentment amongst the masses. Consequently, from time to time, we find that in some countries people stand up against their leaders in protest. Eventually these protests reach extreme levels directly as a result of the frustrations caused by the injustices of the rulers. Such public anger is not only witnessed in the Arab world, but we have seen very recently that some African countries are also suffering from such desperate predicaments. Thus, even today in some countries the people are restless and frustrated. This is also a type of slavery from which people must be liberated – so that peace can develop and so that mutual respect can be established in the world. Remember, in today’s world there can only be success and progress when peace is established and where conflicting views or policies do not impede the progress of one’s nation. In developed countries we also always observe differences between the various parties. Each party has its own policies and they view their own as the best. However, they never allow such differences to become an impediment in preventing the nation from progressing. For example, if we look at the United States, very recently, a huge economic crisis developed caused by the fact that the Opposition Party had major differences with the Government. However, ultimately, and after lengthy negotiations, they came together for the sake of their nation and were able to solve the crisis and reach a deal. We do not see violent protests or rallies taking place in developed countries, through which national buildings are damaged and the country itself is harmed. We should always remember that to vandalise your own nation’s property and to hold extremist rallies does not harm others, but only harms yourself and your nation. If one thinks that adopting extremist measures is the way to have decisions made in their favour they are entirely wrong. Such an approach will cause only harm and will mean that despite achieving independence and freedom, their nation and its people will never succeed or advance. We should always make sure that our differences, our personal egos and party interests are set aside for the greater good, and rather we must prioritise national progress. When we think and act in this way our differences will not be a means of impairment, but will actually play a positive role in our nation’s future well-being and development. If we look at Pakistan – it is a country that has everything it needs. It has natural resources, it has various climates through which, agriculturally speaking, almost all types of crops can be grown. The land is fertile and Allah has granted them the means of water supplies. Despite all of this, the country’s development has completely stopped as a direct result of the conflicts, division and terrorism that have plagued the country and taken root. In the same way if we look at Nigeria – whilst it has vast natural resources, in particular huge oil reserves – the country is not progressing and rather is going backwards. This is because internal politics and division have taken hold and because selfish elements are prioritising their personal interests over the common good of the nation. Today, we must all recognise that the world has come to resemble a global village. 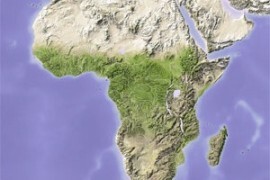 Terrorist organisations and those groups that are causing disorder are no longer limited to some Asian countries, but have now entered Africa. It used to be thought that terrorists may not move towards Africa, but we now see in Nigeria and certain other countries that such groups are spreading their networks of hatred. They are causing damage to properties and are conducting suicide bombings and various other attacks, all of which are against the national interest. Thus, all nations should remain vigilant, because there is a risk of such extremist groups spreading their webs further afield to those nations, which so far have been saved from their hateful influence. Otherwise, it is not unlikely that every country will come to suffer from terrorism and extremism. As is known from past experience, wherever extremists and terrorists have engrained themselves, the result has been that the progress of that nation has completely stopped and the country’s political and national power has disintegrated. And so if all countries do not pay immediate attention to such threats then they may well have to face similar consequences, through which their strength will be weakened. Certainly, where a country’s power erodes, it will lead to the major powers seeking to exploit those weaknesses and to try and once again enslave the vulnerable developing countries. Thus, to maintain your freedom and to save yourself from all forms of slavery, it is essential that you do not let your differences prevent the development and progress of your country. Rather, it is essential that you utilise your differences of opinion and policies to build your nation upon the very strongest foundations. Governments should look after their people with love, care and justice. In return, the people should show loyalty to their country. The public should remain within the limits of the law and seek to solve their problems in a peaceful way, rather than unconsciously assisting those who wish to harm the nation. If this belief is developed that the loyalty we owe to our country and the success of our nation are our ultimate priorities, above and beyond all other interests, then success will flow forth. Such attitudes will be the means of making your independence permanent and will open many future avenues of success and progress. 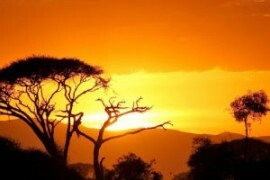 Africa, with the Grace of Allah, has the ability to lead and guide the world. But you need to work hard and stay united to realise this potential, so that instead of succumbing to enslavement, you are those who stand at the forefront of the world. Always remember that to celebrate the anniversary of your independence or to commemorate jubilees will only prove of benefit if you march forward with the right attitude and spirit. It will only be beneficial if you are determined to take advantage of your freedom and hold the desire to firmly establish your nation on a path of success so that it can join the rank of those countries that are considered to be fully developed and successful. Allah has granted almost all of the African nations natural resources and He has given its people bright and fertile minds. Thus derive benefit from these gifts from God and find new ways for your country to progress. It is my prayer that may Allah enable all African countries, their people and their governments to understand the true benefits of living together in peace, harmony and unity. It is my prayer that they all realise that prioritising their national interests above their personal interests are the golden keys that unlock the gates to permanent freedom and success. May Allah enable this to be the case.